With the website loading speed being a crucial ranking factor, you need to have a fast loading website to rank higher in Google and other search engines. Slow loading website is not only bad for user experience but is also hated by web crawlers and spiders. Therefore, it becomes quite important to monitor your website loading time and speed so that you may develop a fast loading website that complies with webmasters guidelines offered by search engines. So, how will you come to know your site loading time? Well, there are many free web page speed test sites that let you check your web page loading time. But one of the most powerful website monitoring services I have come across is – Pingdom Tools. How to Test Website’s Loading Speed Using Pingdom Tools? How Pingdom Tools Help You in Improving Your Website Loading Time? Pingdom is a website monitoring service that allows you to monitor various factors of any website. It provides many web monitoring tools using which you may easily monitor – site up-time, response time, DNS health, pings, etc. Though you have to pay the premium subscription cost to enjoy unlimited premium features for monitoring various websites, one of the robust feature of Pingdom is its Pingdom Tools that allow you to test web page loading speed and time for free. 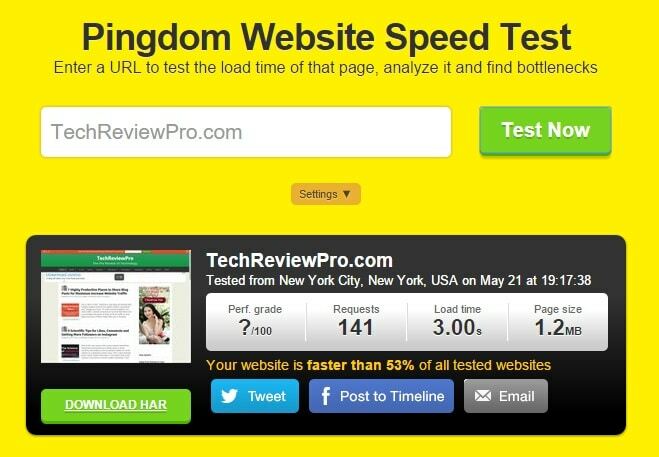 To run a Pingdom website speed test, you have to visit the Pingdom speed test tool and enter the URL of the webpage for which you want to run a website loading speed test. 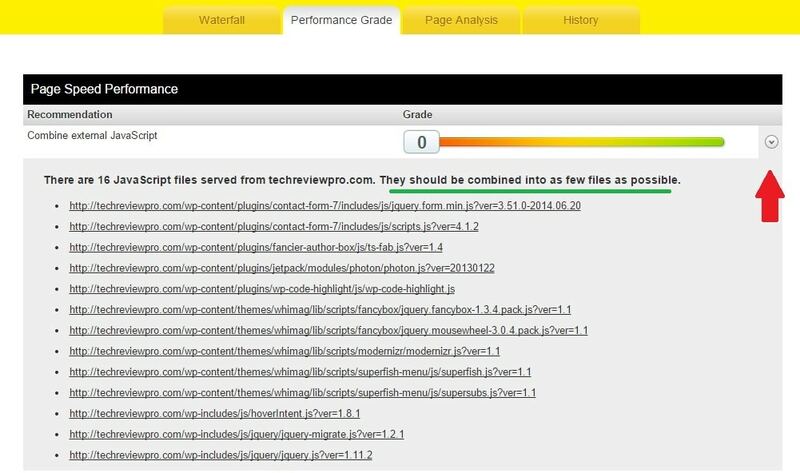 Once you have entered the website URL which you want to analyze and monitor, just hit enter or click on Test Now. You’ll instantly see a message “Hang on, Starting Test…“. Thus, testing website loading time using Pingdom tools is quick, easy as well as free. Not only you may test and monitor your website, but also you may use Pingdom tools to test and monitor others websites. And what is the most valuable aspect of Pingdom speed test tools is that it also provides you various valuable information which comes very handy in improving your webpage speed. As Pingdom tools also provide you various valuable information, so you may use this information to improve your website loading time and user experience. 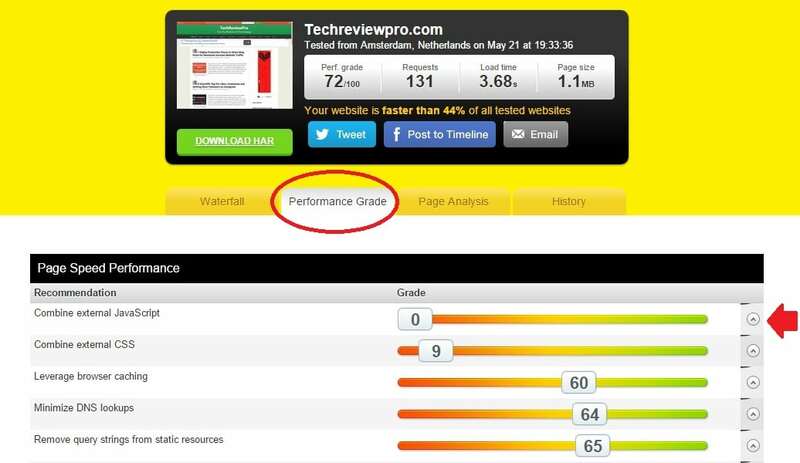 First of all click on Performance Grade tab which shows you various information related to your website performance. Ideally, they provide a performance grade ranging between 0 to 100. Checkout the section for which you have got the worst performance grade. Dive into those low-grade factors and improve as per Pingdom tool’s guidance. Once you work on those factors, you’ll surely see an improved website loading speed and user experience. Similarly, you may also take advantage of other tabs – Waterfall and Page Analysis. However, the History tab shows the website loading time and speed in the past. Google page speed is a similar website speed test tool provided officially by Google for webmasters and developers. It is also free, and you can quickly monitor your website loading time. Just insert your webpage URL and hit enter to analyze the website, it’ll provide you the full insight of page speed of the web page. 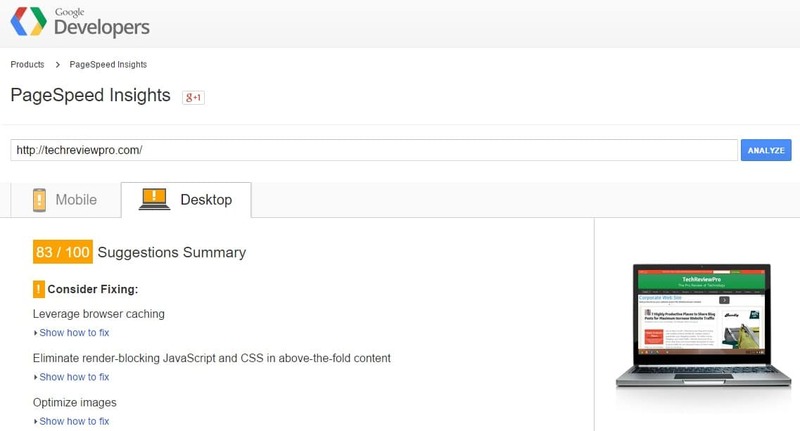 Google page speed provides web page’s loading speed insights for the computer as well as for responsive mobile devices simultaneously. It provides you numeric grades from 0 to 100 with 0 being worst and 100 being fastest. Like performance grade tab of Pingdom tools, it also provides you various information which you need to fix to improve website speed. Though Pingdom Tools and Google Page Speed are two most popular website speed test tools, certainly these are not the only way to go. Many other website speed test tools let you monitor your web page loading time for free. Pingdom has many powerful tools that make it so easy for you to monitor your website uptime, response time, loading speed and many factors to improve web performance and user experiences. Though a free account is enough for basic needs, if you wish to have advanced monitoring services and features like 24-hour website monitoring etc. you should consider subscribing to their premium plans starting from $10/month. Monitoring your website and testing web page loading speed is crucial as this helps you to improve your website performance. Overall, Pingdom tools are also beneficial for improving user experiences of your website. So what are your views about Pingdom tools? 14+ Reasons Why Your Website Must Have Responsive Web Design? How to Know Who Hosts This Site?